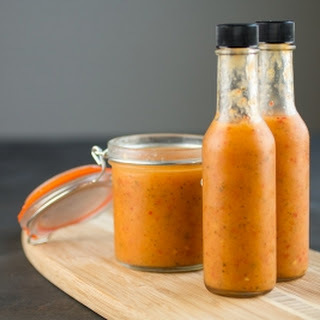 This Pineapple- Mango Carolina Reaper Hot Sauce Recipe produces an ideal level of both sweet and heat, the perfect combination.This particular hot sauce is excellent on chicken, fish, or prawns/shrimp .Excellent for a glaze. Heat a large pan to medium heat and add olive oil. Add Carolina Reaper Chile Peppers Flakes and fruit. Cook about 8 minutes to soften. Add water, vinegar, sugar, coriander and paprika and bring to a boil. Reduce heat and simmer about 20 minutes. Remove from heat and cool. Add to a food processor and process until smooth. Pour into sterilized bottles and serve it up.